The use of armour can greatly increases the survival probability of a combatant. 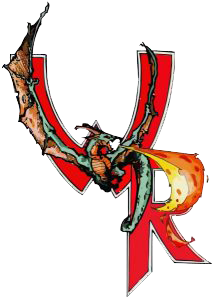 In Wyvern Rising, armour gives the wearer protection in the form of armour points. Armour points are deducted before body when the wearer takes damage. However, there are some attacks, spells, and prayers which bypass armour. This includes Pierce Armour, Assassinate, Piercing Strike, and any attack that deals BODY damage. The amount of protection (Armour Points) provided by armour depends on the location it covers and the material it is made out of. The chest, for example, has an armour value of ten. In order for your costume to provide armour points it must be constructed of actual armour materials or made to look and act like actual armour. That is not to say it necessarily has to be expensive. A homemade breastplate fashioned from a metal garbage can or similar item is fine as long as it is safe. Anything worn as armour in game should look and wear like real armour. Leather clothing must have substantial thickness and stiffness to be considered armour. A single layer of split grain leather is typically not sufficient to count as armour. If your armour has sharp, protruding corners, you may need to place a small amount of padding on the corners to prevent them from damaging weapons or injuring people in combat. When a new character is created, he/she may start the game with armour at no cost to the character. However, a character should have some sort of reason, for role playing purposes, as to why they enter the game with any sort of heavy armour, such as plate mail. Whenever new armour is brought into play by an existing character, it must be evaluated by a staff member and purchased from an in game source. The most common in game source of armour and repair are players with smithing skills. The armature diagram represents armor locations and the Armor Value for each location in the form of Location/Value. The value assigned to each location is the maximum heavy armor value for that location. Various armor types bear different percentage value equivalents of heavy armor. To determine total Armor Points, consider every separate piece of armor individually. Add together the values for each location covered and then multiply the total by the Composition Modifier. Add the Armor Points for each individual piece to get the total amount. A piece of armor must cover at least 50% of its location in order to receive any Armor Point benefit. The only exception is the Head/Face/Neck, which receives the normal Armor Point amount for any partial coverage. Example: Kevlaam wears a leather cap (8), gauntlets (6, 7), and boots (9, 10). Leather is considered Light Armor. The cap does not cover 50% of the head/face/neck, but since it is a special location Kevlaam receives the full Armor Point benefit for having partial coverage. The cap has a value of 5 x 60% = 3. Both the gauntlets and the boots cover 50% of their respective locations, so Kevlaam receives the Armor Point benefit for them. Each gauntlet has a value of 5 x 60% = 3 and each boot also has a value of 5 x 40% = 3. The total for the armor is then 3 (for the cap) + 6 (for the pair of gauntlets) + 6 (for the pair of boots) = 15 Armor Points. Kevlaam also wears a breastplate (1), plate vambraces (6, 7) and grieves (9, 10) over his leather. Plate is considered Heavy Armor. Since each of these pieces cover at least 50% of their areas Kevlaam receive the Armor Point benefit for them. The breastplate is worth 10 x 100% = 10. Each vambrace is worth 5 x 100% = 5 and each grieve is worth 5 x 100% = 5. His total plate is worth 10 + 5 + 5 + 5 + 5 = 30 Armor Points. His total Armor Point value is then 10 + 30 = 40 Armor Points. The damaged caused by every successful hit is deducted from the total amount of Armor Points a player has. Higher Priority locations tend to receive more blows in combat. The piece of armor that has the highest Priority loses its Armor Points first. When that piece has been reduced to zero Armor Points, the piece with the next highest Priority begins to lose Armor Points. This continues until all pieces of armor are reduced to zero Armor Points. Once armor has been damaged it must be taken to a smith in order to be repaired. In cases where a single piece of armor covers several locations, such as a chain mail hauberk, the entire piece has a Priority equal to that of the highest Priority covered. The entire piece wears out as a whole, not by single location. That means that the hauberk in its entirety loses Armor Points until it is completely destroyed, rather than just the chest of the hauberk being destroyed.